Learn about upgrades to the Information Technology Services (IT Services) Customer Portal. 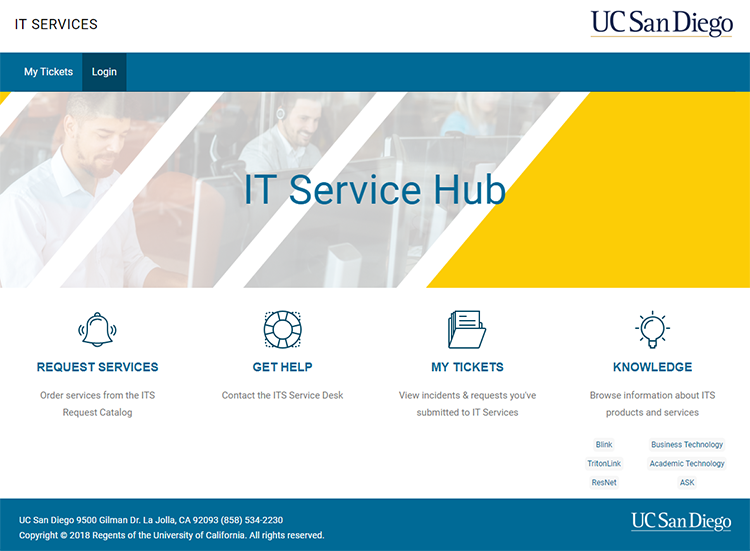 The ITS Service Desk Portal is now known as the IT Service Hub. Use the four large icons to order services, contact the ITS Service desk, check on your current tickets and link to technology information. New to the customer portal landing page, the Request Catalog allows you to order specific services directly from us. After you log in to the customer portal, click on the blue Request Services icon to browse the Request Catalog. New items will be rolling out frequently from groups all across IT Services, so check back frequently. When you want to report something that isn't working properly, use the incident report form. 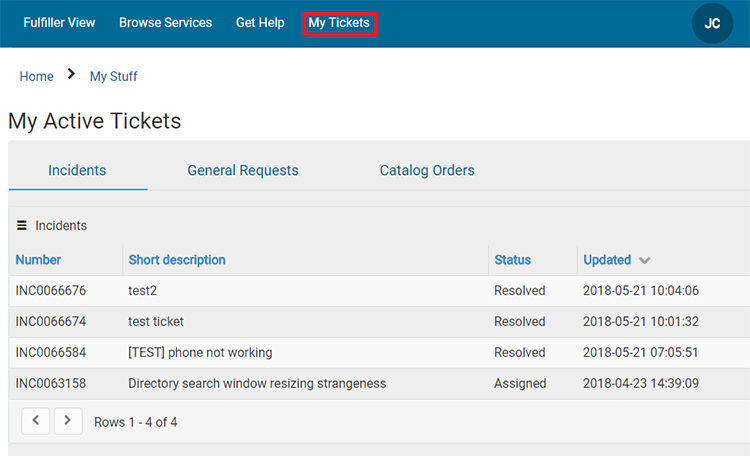 Use the active tickets view to check on the status of your incidents and requests. When you view an individual ticket you can review what has been done and add to the conversation. 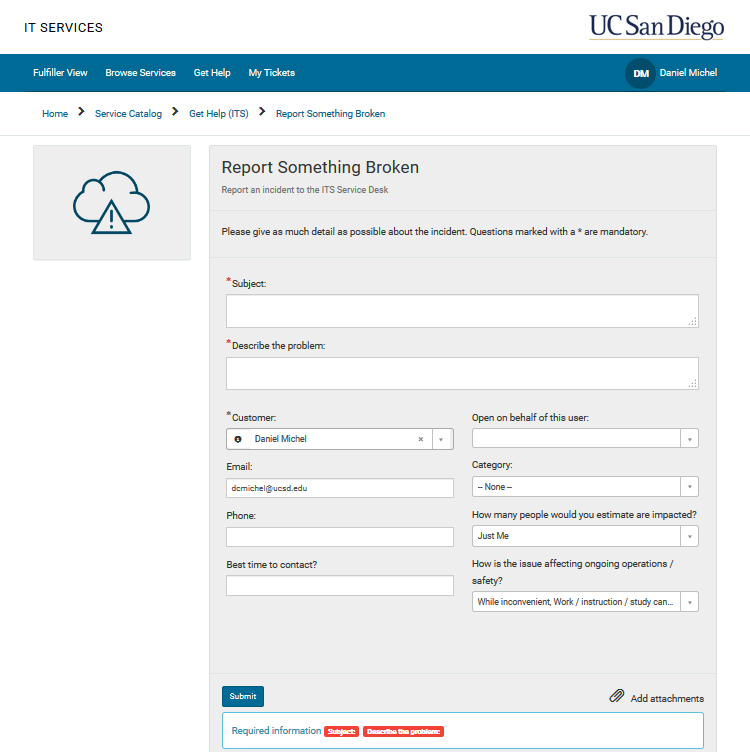 To leave a comment or report an issue with ServiceNow, click the “Feedback” link on our portal at servicedesk.ucsd.edu.